Rosemary, an herb whose botanical name is Rosmarinus officinalis, is a sun-loving shrub, native to the south of France and other Mediterranean regions and is a member of the mint family Lamiaceae along with many other herbs, such as lavender, oregano, basil and thyme. The name “rosemary” derives from the Latin for ‘dew’ (ros) and ‘sea’ (marinus), or ‘dew of the sea’. The plant is also occasionally called anthos, from the ancient Greek word ἄνθος, meaning “flower”. Polar plant, compass-weed, or compass plants are some of the popular common names of rosemary. Apart from that Frost Hardy Rosemary, White Rosemary, Trailing Rosemary, Pine Scented Rosemary, Majorca Pink Rosemary, Tuscan Blue Rosemary, Common Rosemary, Prostrate Rosemary, Spice Island Rosemary, Blue Boy Rosemary and Salem Rosemary are well known varieties of rosemary. 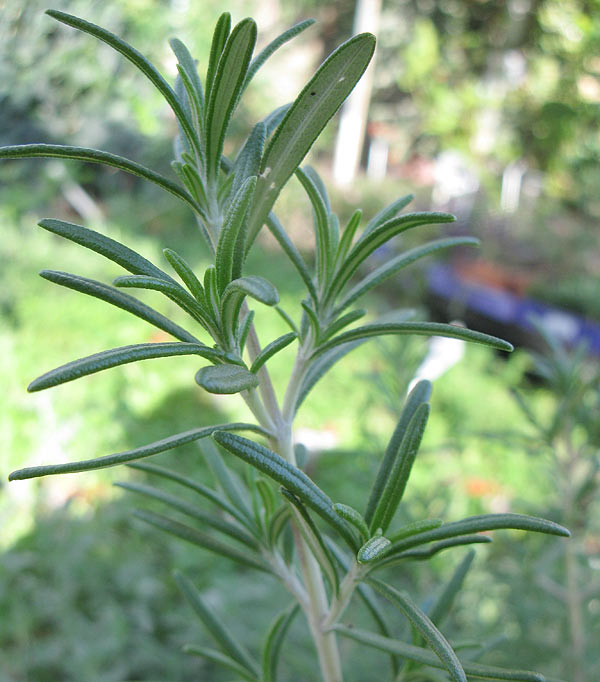 Rosemary is closely related to lavender, oregano and basil and just like them – it is often used as spice. 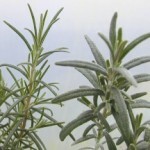 Rosemary can be used for the preparation of salty and sweet dishes. 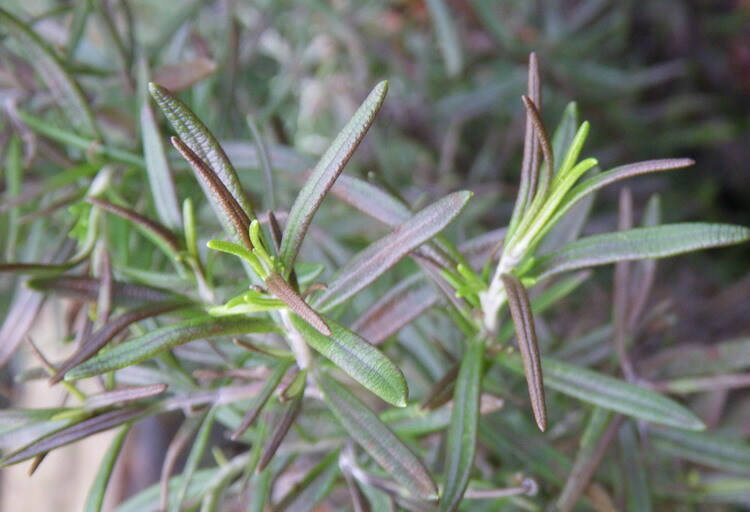 Besides for cooking, rosemary is extensively used in cosmetics and medicine. 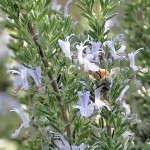 Rosemary is often cultivated for ornamental purposes. 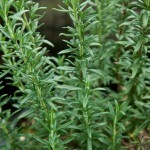 Rosemary is actually an evergreen perennial bush, 1.5-3 meters in height. It is normally found growing in open, sunny position with good drainage and prefers a light, well-drained, average garden soil. It has deep, woody taproot that produces stout, branching, scaly, light brown stalks covered with simple, sessile narrow leaves. Leaves are simple, sessile narrow leaves about 1 in long and opposite, growing in whorls along the square stalks. 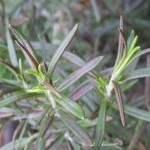 Rosemary leaves are dark green on top and pale green on the underside with a distinctive mid vein. They curl inward along the margins. Tiny two-lipped, light blue or violet flowers grow in a cluster of five to seven blossoms each on a pair of short, opposite spikes. Each pair of flower spikes alternates along the sides of the stalk. This graceful aromatic herb blooms in late spring and early summer bearing two tiny seeds in each flower. Bees are attracted to rosemary flowers. Flowering take place from April to June and often again from September. 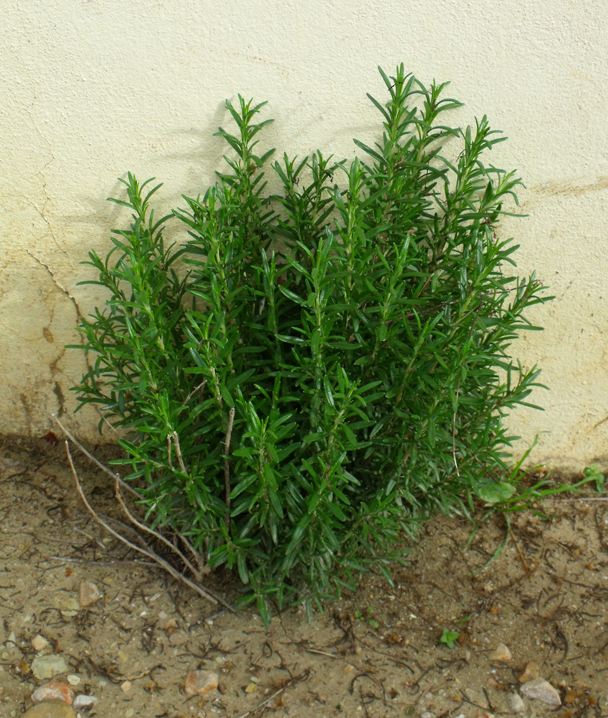 Rosemary plant has a narrow, needle-like aromatic leaves which is usually 2–4 cm (0.8–1.6 in) long and 2–5 mm broad. Upper side of leaves is darker green in color whereas lower side is grayish in color with dense, short, woolly hair. 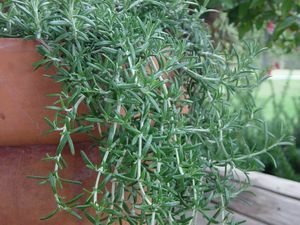 Rosemary has a warmer, bitter, and more astringent taste and bold flavor that gives wonderful flavor to soups, sauces, stews, roasts, and stuffing. It is mainly prevalent in Italian cultural cuisine. Due to its wonderful taste and nutritional value it is found used in several food dishes around the world. 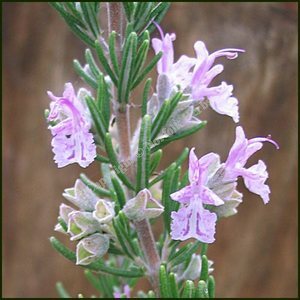 The rosemary herb has been around in use like a food seasoning and also as an all-natural medication for more than a million years now. It was originally grown within the Mediterranean regions only, but over time, the cultivation of rosemary has spread in the temperate climate areas of Europe and America. At first, rosemary was utilized just for the goal of building up memory, however nowadays, the other medicinal properties of the herb have also been acknowledged. 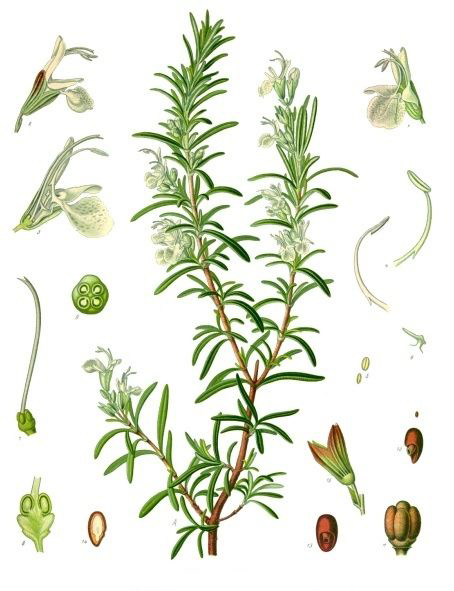 The ancient Greeks utilized to decorate the heads of students along with rosemary sprigs before exams since the herb possessed memory boosting powers. Likewise, branches of rosemary were thrown in the graves of the dead which represents memories. The English utilized rosemary within their numerous customs and celebrations as well as in their costumes as gifts or even as decorative pieces. It absolutely was within the 14th century that the oil was initially extracted from rosemary and utilized in the preparation of Queen of Hungary water that emerged as one of the most well-known cosmetics utilized during that time. Gradually, the significance of the herb and its oil were recognized and rosemary became an essential portion of digestive medicines throughout the 16th and 17th centuries. 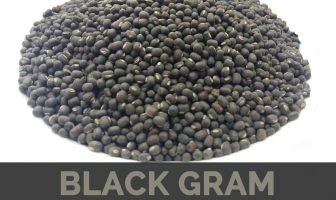 Today it is grown throughout the world due to its significant nutritive value and unique and delightful taste. 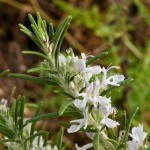 Apart from their warmer, bitter, and more astringent taste, Rosemary is a good source of nutrients, vitamins and minerals. Consuming 1.7 gram of rosemary offers 0.11 mg of Iron, 0.016 mg of Manganese, 0.005 mg of copper, 0.2 g of Total dietary Fiber, 5 mg of Calcium and 2 µg of Vitamin B9. Moreover many Amino acids 0.001 g of Tryptophan, 0.002 g of Threonine, 0.002 g of Isoleucine, 0.004 g of Leucine and 0.002 g of Lysine are also found in 1.7 gram of rosemary. Rosemary is one of the popular natural migraine treatments and has been used for centuries. One way to make use of this for migraines is to boil water with rosemary and to breathe in the steam. Typically, you’ll want to boil the water first, then place it into a large bowl and breathe it in with a towel over your head and the bowl. Rosemary acts as an anti-inflammatory agent in the body. Carnosol and Carnosic acid are actually two powerful antioxidant and anti-inflammatory compounds found in rosemary that have been related to reducing inflammation of muscles, blood vessels, and joints. This makes rosemary an effective treatment for many things, like blood pressure, gout, arthritis, and injuries sustained during physical exertion or surgery. Rosemary is effective in oral or topical form for these anti-inflammatory effects. Furthermore, the reduction in inflammation in the cardiovascular system can help to boost heart health and prevent atherosclerosis from appearing. Rosemary is most commonly known as a cooking herb, however it may also be used just as one decorative shrub. 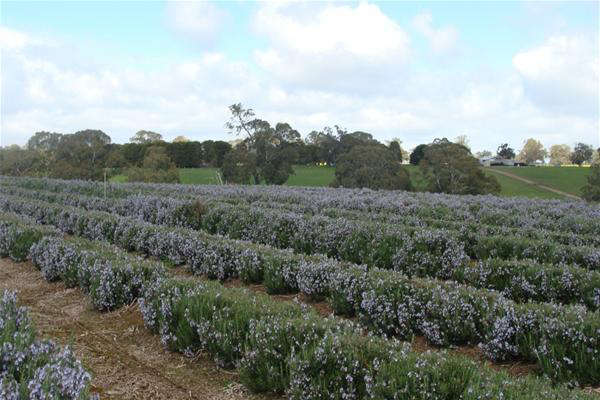 There’s two main kinds of rosemary plants, the upright varieties and also the creeping types. Both offer evergreen leaves, aromatic foliage and edible flowers. The name rosemary originates from the Latin word rosmarinus which suggests “dew of the sea.” This particular name probably refers back to the fact that rosemary originated from the Mediterranean area near to the sea. 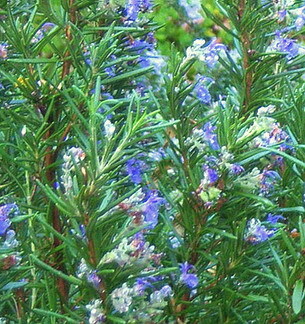 Salem Rosemary is among the upright types of rosemary. It provides fragile blue flowers, is usually a fast growing variety and is effective as both a hedge as well as an attractive plant. It may grow in between 1 and 3 feet tall and possesses a 1 to 3 foot spread. It is crucial that this variety of rosemary be planted in full sun and also be offer a reasonable amount of moisture. 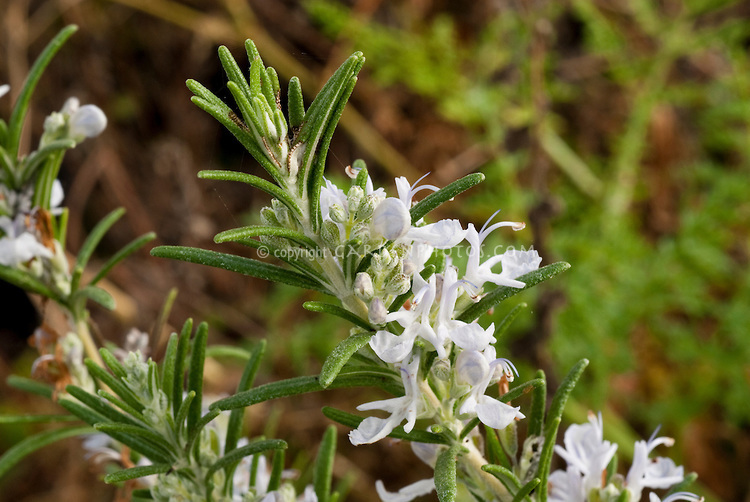 Also ensure that your Salem Rosemary is grown in soil which has good drainage. Another variety of rosemary is definitely the Blue Boy Rosemary. This really is one of the smaller types of rosemary and definitely will only grow to be a couple of inches tall. This will make it ideal for ground cover or for containers. 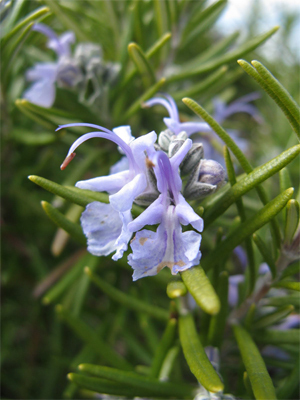 Like the majority of types of rosemary it features a blue flower that is delicious and incredibly aromatic evergreen leaves. It is just a perennial shrub and it has a healthy lifespan of multiple decades if taken care of appropriately. The Blue Boy Rosemary plant will certainly flourish in hardiness zones 8 through 10 if planted in full sun as well as in soil with pH levels between 6.5 and 8.5 which has good drainage. This particular variety favors near drought conditions, so that you don’t wish to give it too much water. If you’re thinking about topiaries then consider the Spice Island Rosemary. This particular plant grows to be in between 24 and 30 inches tall and is also simple to train in a particular shape for the topiary garden. It provides the signature blue flower, the fragment evergreen leaves and it’s also is an edible plant and ideal for cooking. 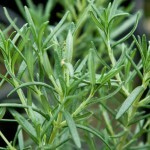 However, this variety of rosemary does have an extremely stinky flavor therefore it must be utilized in small amounts. Prostrate Rosemary is really a variety of rosemary that work well for hanging basket gardens. This really is one of the creeping varieties therefore it also works well for ground cover too. It generally grows to be about 3 feet tall and may have got a spread of between 4 and 8 feet. This can be a warm climate variety also it favors hardiness zones of between 8 and 10. However, in case you are in the edge between hardiness zones 7 and 8 you may still grow this plant in case you position it alongside a south facing wall. This helps offer your Prostrate Rosemary after some extra warmth. Common Rosemary is yet another upright variety. It may grow in between 2 and 4 feet tall. Like other types of rosemary, the Common Rosemary plant prefers dry soil which has good drainage and that has got full sun exposure. The flower of this variety of rosemary is light blue and works well like a cooking herb. 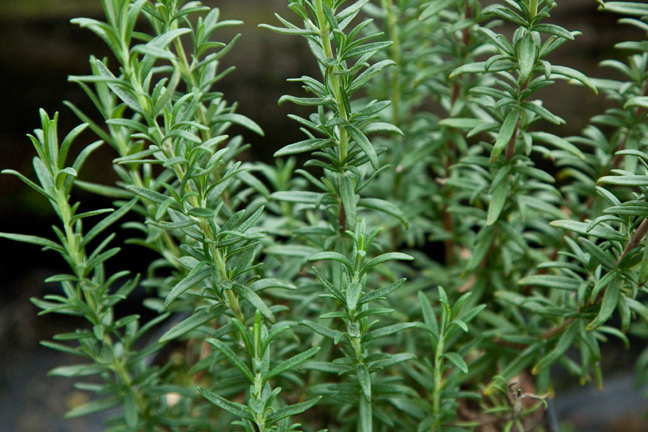 Tuscan Blue rosemary plants grow up to 6 feet tall, making them an excellent filler plant for the garden. The simplest way to differentiate a Tuscan Blue rosemary plant is always to look for the big and beautiful blue flowers that provide the plant its name. The leaves are larger than other types of rosemary plants too. Titled because of its special lavender-pink flowers, the Majorca Pink rosemary plant grows out rather than up. As the plant grows out, the center opens up, leaving it lower in the middle compared to outside. When it’s not flowering, you differentiate this plant by its washed out green leaves as well as wide growth pattern. Pine scented rosemary grows to two ft. tall and is really a tasty cookery herb. Drought tolerant and sun loving, it’s also an excellent landscaping option for dry, hot areas. It creates small blue flowers and is also hardy from Zones 8 to 11. Of the creeping rosemary varieties, none makes a more impressive display compared to trailing rosemary, which could cascade from the pot or over a wall or fence. 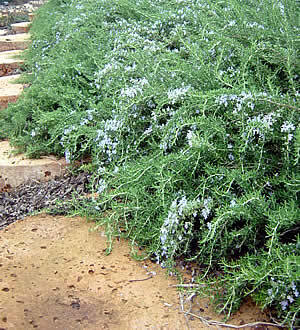 Corsican Prostrate, Huntington Carpet, Irene, and Santa Barbara are fantastic samples of cascading rosemary cultivars, and grow to the length of three feet or even more. They’re also drought tolerant as well as hardy from Zones 8 to 11. White Rosemary actually reaches four feet and provides amazing white flowers from winter to late spring. 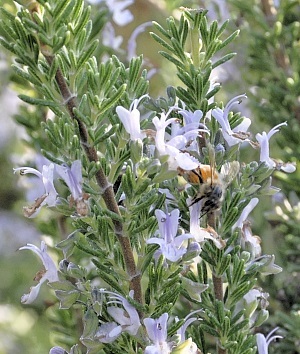 A standout within the landscape for its upright bushy habit, the strong fragrance of White Rosemary causes it to be a popular of bees and a good culinary choice too. White Rosemary requires full sun and is also hardy from zones 8 to 11. The Arp and Madalene Hill Rosemary cultivars are winter hardy to Zone 6 and possibly Zone 5 in sheltered areas. 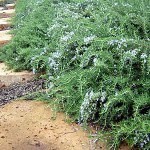 These rosemary varieties grow to five feet and produce light blue flowers. Give them the same care that you would upright rosemary, full sun and well-drained soil. Golden Rosemary If you like gold to the deep green leaf color of most rosemary varieties, there are a variety of cultivars that produce bright yellow to deep gold foliage that either stays true, or deepens as the days get longer in summer. Golden Rain and Golden Rosemary are both gold varieties that grow to about a foot in height, need full sun, and therefore are hardy from zones 8 to 11. Rosemary is used to prevent balding and as a hair conditioner. 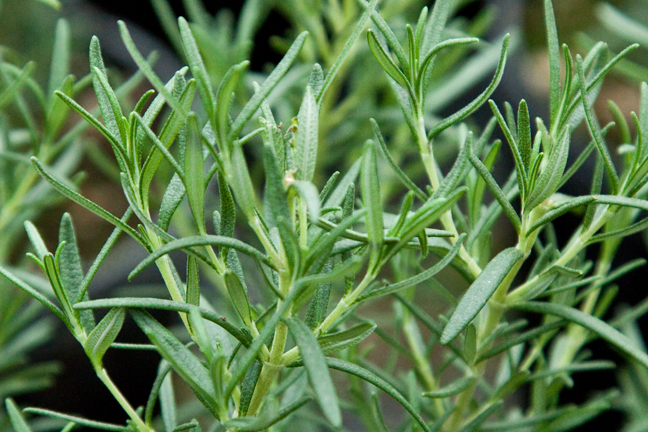 Rosemary is also the herb of memory, the leaves were thought to quicken the mind and prevent forgetfulness. 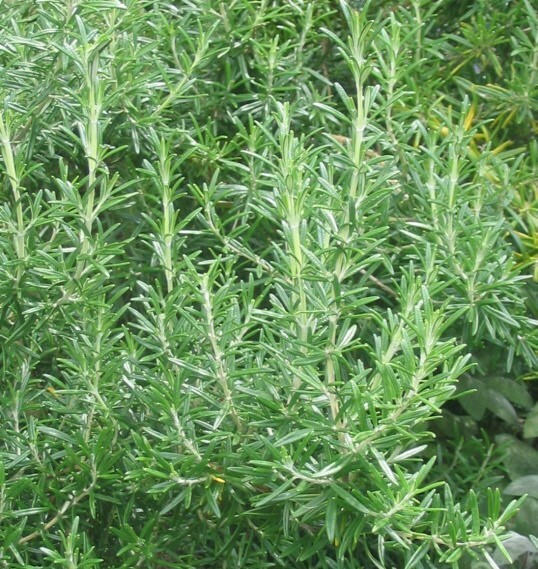 Roman herbalists suggested a rosemary infusion to cure jaundice. Rosemary has antioxidant properties and is used as a preservative by modern food processors. It has been stated in medical texts as being a digestive aid in the form of a tea infusion. Rosemary has been used as an herbal medicine to relief gas, toothache, headache and even baldness. Rosemary can be infused into oil and used externally for skin irritations like eczema and joint problems like arthritis. 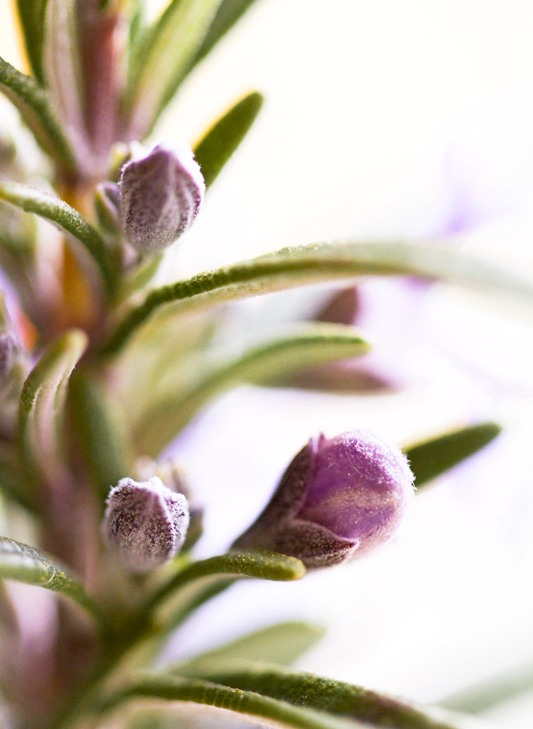 During the 16th century, people burned rosemary to disinfect rooms (to eliminate germs). Rosemary is a symbol of loyalty and love. In certain parts of the world, bride, groom and their guests wear branches of rosemary during wedding ceremony. Rosemary is occasionally used in the funeral rituals. Putting rosemary into the hands of deceased and scattering of rosemary on the grave symbolize remembrance. Rosemary can be used as an edging plant. Purchase fresh rosemary instead of the dry type of the herb. Fresh rosemary is excellent in flavor as compared to dried rosemary. 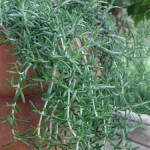 Buy rosemary sprigs that are deep sage green colored. The leaves needs to be free of yellow or brown color spots. Visit the local store and buy the rosemary herbs accessible there. Local stores not just provide more variety but additionally provide fresher rosemary plants instead of supermarkets stores. Buy just organically produced rosemary. This can be sure that the herb hasn’t been irradiated and is particularly relatively low on pesticide residue as opposed to the inorganically grown rosemary. Irradiated rosemary has got less carotenoid, an essential nutrient of the herb. Store fresh rosemary within the refrigerator within the packet in which you have bought it from the market. You may also store the same in the moist paper towel. Place fresh rosemary shrubs in ice cube trays just before placing them inside the freezer. Cover the ice cube trays with water or stock before placing them within the freezer. Dried rosemary ought to be placed in an airtight container as well as stored in a dark, cool and dry place. In this way, rosemary could be stored for approximately 6 months. Rosemary is surely an evergreen perennial plant which may be harvested throughout the year. It creates small pretty blue flowers in the winter and early spring. A great time to trim rosemary into shape is after it has flowered. Rosemary may be used fresh or dried. It’s an evergreen plant so utilizing it fresh is simpler as well as more suitable. You may either strip off the leaves from the woodier stems or use whole sprigs to flavor the food then remove them. The leaves and flowers of rosemary may be used in several dishes; take a look at several tips to stimulate your appetite. However, keep in mind that rosemary has got quite a powerful flavor so that you don’t have to add very much even just in dishes which are slow cooked. The flowers may be used in desserts e.g. spread over ice cream or mousses. 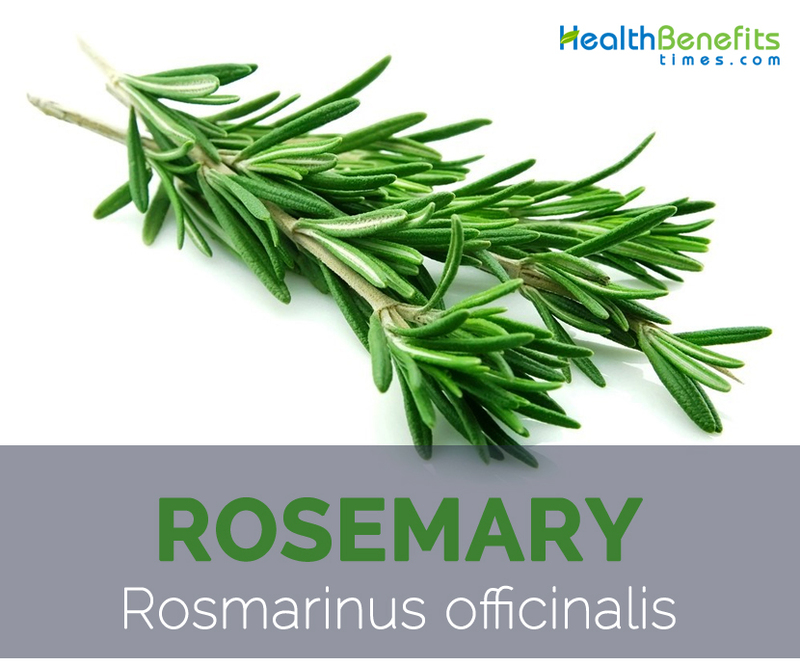 Rosemary combines particularly well along with oranges but additionally other fruits. An orange fool flavored with rosemary is lovely. You might also make Rosemary Syrup. One of the most traditional uses of rosemary is really as an complement to lamb dishes. In case you combine rosemary leaves, garlic, lemon juice as well as seasoning and marinate your lamb before cooking it’ll taste scrumptious. And also this works best for chicken and pork dishes. 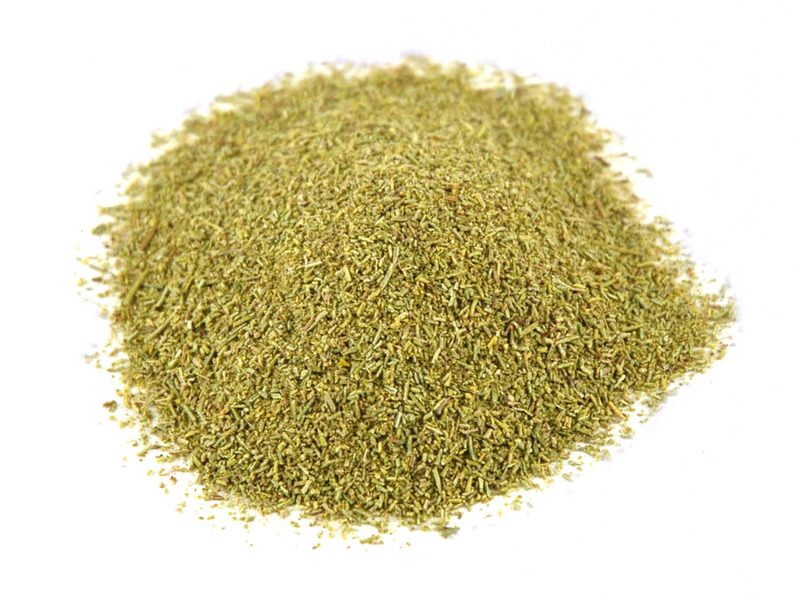 Use sprigs for roasting, grilling or even on the barbeque. Another combination for lamb is always to mix rosemary leaves along with orange to make a glaze however, many people might find this a bit too sweet. The fresh shoots may be used to flavor olive oil or even milk/cream or syrup to be used in puddings. Additionally scrumptious included in lemonade along with other summer drinks. Onions roasted along with rosemary and made in to a sauce can be tasty. You may make rosemary flavored oil or even vinegars. Adding rosemary to roast potatoes is yet another well-liked use and is also one of the best methods for utilizing it. Make skewers from stripped, longer, stronger sprigs (soak in water just before cooking) or utilize as they are like a basting brush. Makes a wonderful oil and vinegar. Ideal for marinades. Add finely chopped leaves to soups, sauces, salads, pasta and bread like foccacia. Rosemary combines well along with any of the following herbs: bay, chives, garlic, lovage, mint, oregano, parsley, sage, savory and thyme. A crucial part of ‘herbes de provence’. It goes well together with the following foods: apricots, breads, cabbage family, eggs, fish, lamb, onions, oranges, parsnips, pasta, pork, potatoes, poultry, squash and tomatoes. Rosemary is usually used as a seasoning for lamb and pork dishes but there’s also lots of other fantastic options on how to cook with rosemary. Here are quite a few ideas. Use to make homemade stuffing. Add to soups to flavor. Mix with garlic and use like a seasoning for lamb or chicken. Add to melted butter and pour over boiled potatoes and vegetables. Add chopped rosemary to the omelet, scrambled eggs or perhaps a frittata. Wrap rosemary leaves around bits of chicken, pork or lamb and roast. Use to season roast fish. Add to tomato-based sauces and soups. Add to olive oil and offered on toasted bread. Use to flavor homemade breads and biscuits. Add to lentils, beans or stews. This particular herb hasn’t been analyzed in kids, so do not give rosemary as medicine to the people below 18 years old. It really is safe to consume like a spice though. Do not consume more than 4g to 6g of the dried herb each day. 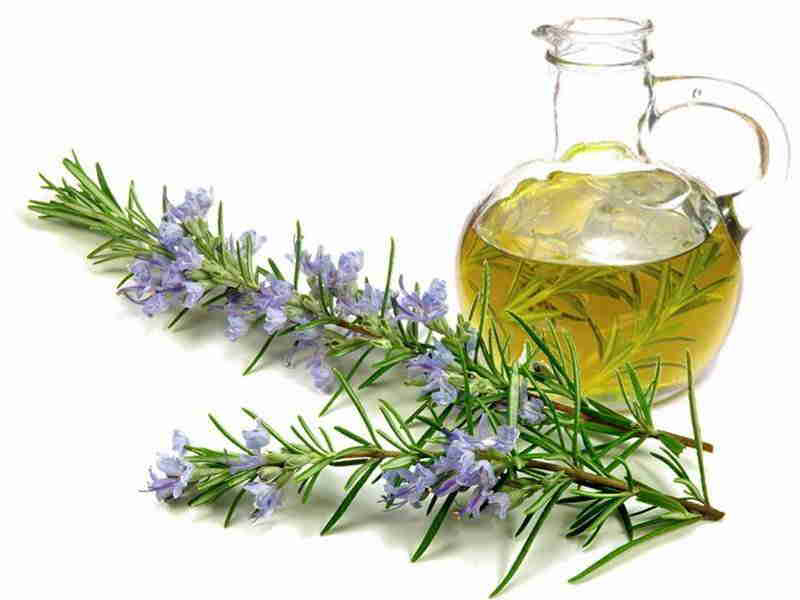 Rosemary oil shouldn’t be taken orally; it may be toxic. 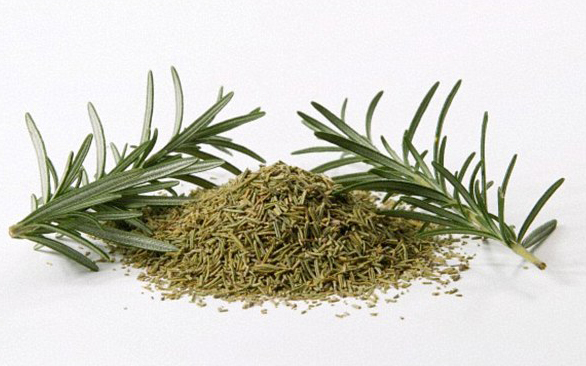 Pregnant women shouldn’t take rosemary as supplement simply because higher dosages of rosemary might cause miscarriage. The herb might not be safe even for ladies who are nursing. Don’t take rosemary in all forms in case you have high blood pressure, ulcers, Crohn’s disease, or even ulcerative colitis. In higher doses, rosemary leaves could cause side effects like vomiting, spasms, and in many cases, accumulation of fluid in the lungs, and even coma. 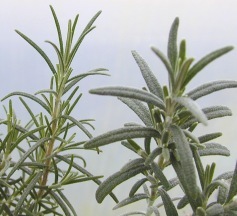 Rosemary may possibly hinder blood thinners such as warfarin or aspirin and affect the blood’s ability to clot. The herb may hinder the action of ACE inhibitors you take for high blood pressure. 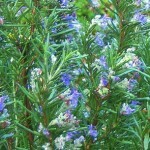 Rosemary can modify the blood sugar levels, therefore it shouldn’t be taken in case you are on any diabetes medication. Rosemary is really a diuretic and may even boost the chance of dehydration. Rosmarinus flexuosus Jord. & Fourr. Rosmarinus officinalis f. laxiflorus (de Noé) Batt. Rosmarinus officinalis subsp. palaui (O.Bolòs & Molin.) Malag. Rosmarinus officinalis var. angustifolius (Mill.) DC. Rosmarinus officinalis var. argentatus Alef. Rosmarinus officinalis var. auratus Alef. Rosmarinus officinalis var. latifolius (Mill.) DC. Rosmarinus officinalis var. laxiflorus (de Noé) Murb. Rosmarinus officinalis var. nutans Cout. Rosmarinus officinalis var. palaui O.Bolòs & Molin. Rosmarinus officinalis var. rigidus (Jord. & Fourr.) Cariot & St.-Lag. Rosmarinus officinalis var. vulgaris Alef. Rosmarinus rigidus Jord. & Fourr. Rosmarinus tenuifolius Jord. & Fourr. Calories 2 Kcal. Calories from Fat 0.9 Kcal. Calories 11 Kcal. Calories from Fat 4.5 Kcal.